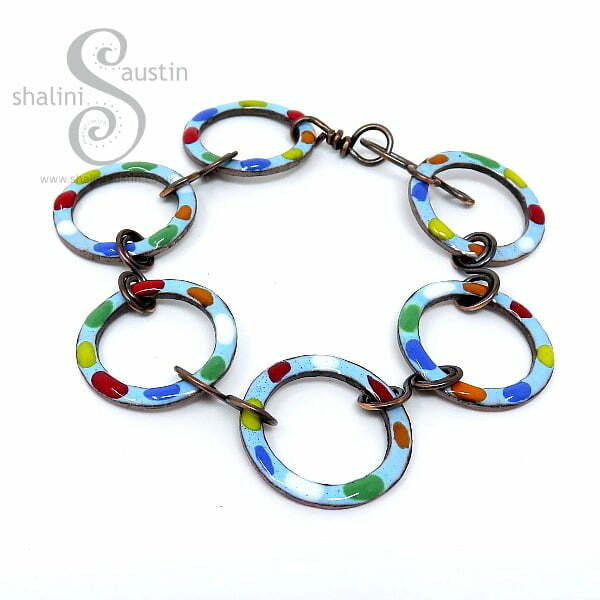 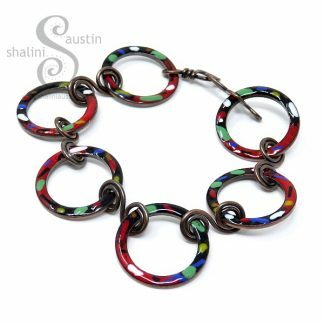 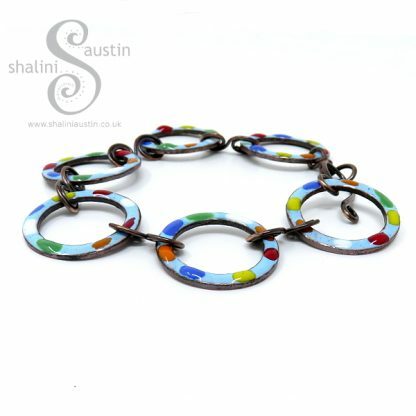 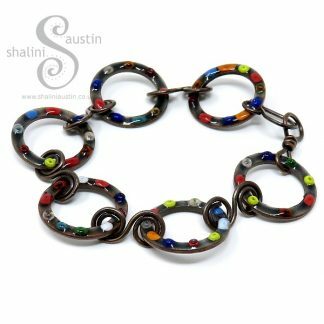 Sky Blue enamelled copper bracelet Tutti Frutti with splashes of bright colours. 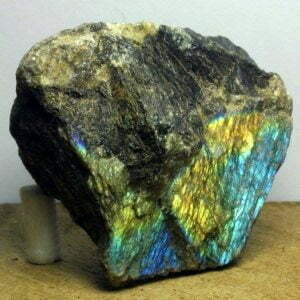 It reminds me of ‘Tutti Frutti’ Ice cream which was a childhood favourite. 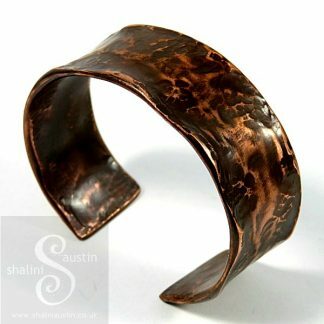 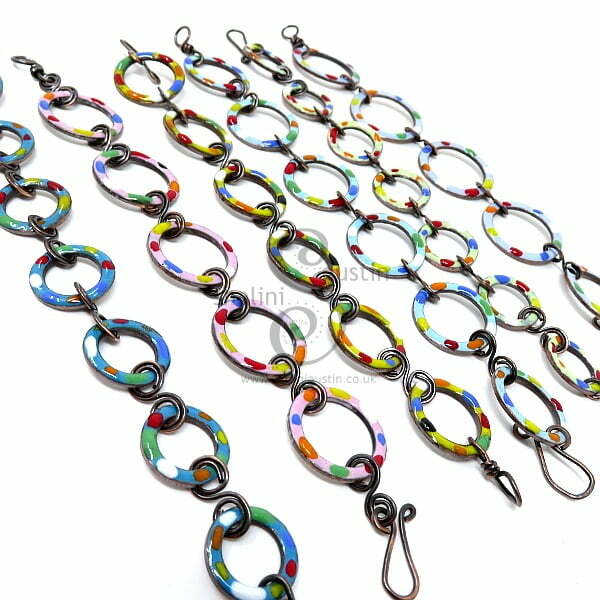 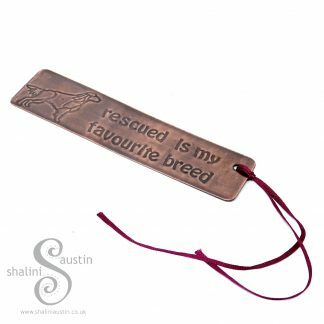 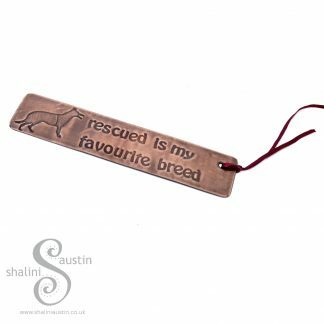 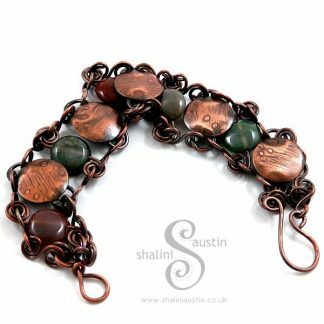 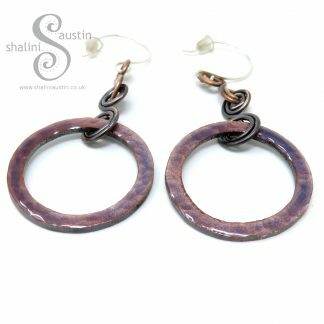 Size: Bracelet is 8 inches (20.5 cm) long with a copper hook clasp made from 1.25mm pure copper wire. 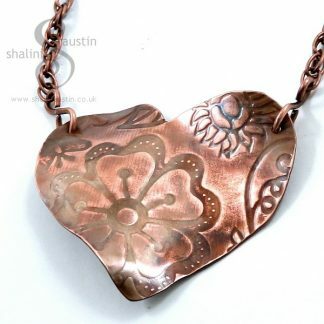 The copper circles are 2.5 cm. 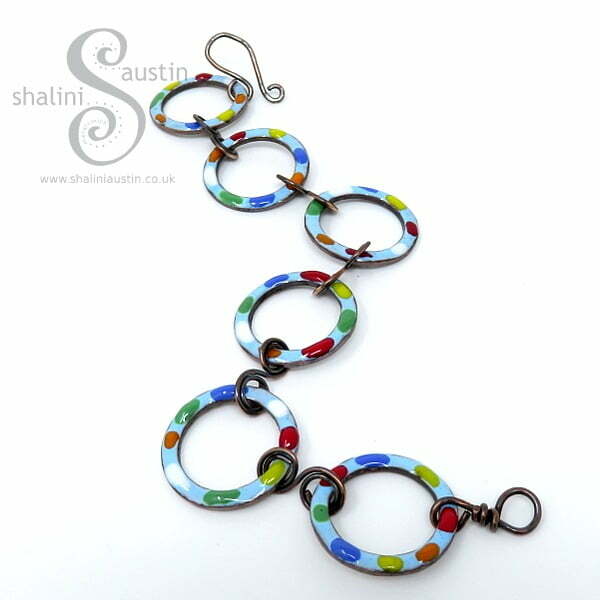 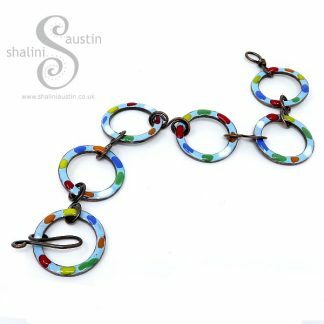 Colour: Sky Blue Opaque enamel with red, blue, yellow, green, orange and white blobs created out of crushed glass.